The following is an article contributed by our Ed Marsh to the InternationalMan.com site. Read the original here. The point? Often entrepreneurial business people will strike out on an international initiative and concentrate on transactional issues. They focus on finance and logistics topics and often overlook key risk management steps. Perhaps the biggest shortcoming, though, is the opportunity cost associated with inadequate international marketing. The bottom line is that often a little attention paid to this area could have made a huge difference in export efforts which ended up abandoned due to mediocre results. Don't let this happen to you - take your international marketing as seriously as you do other critical aspects of your business. 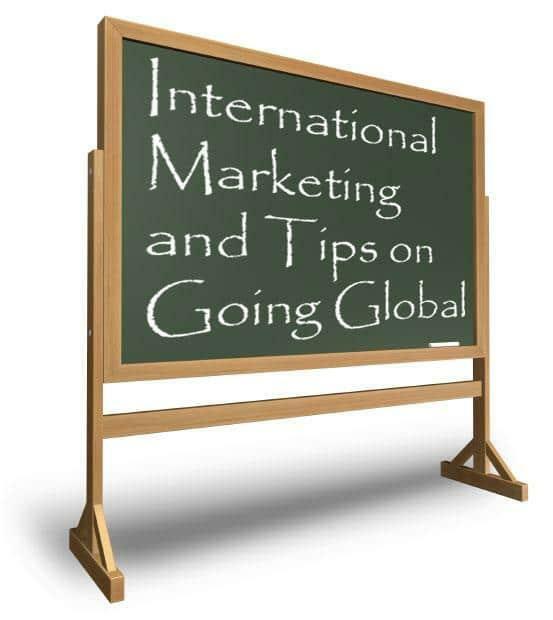 And recognize that your international marketing effort is substantially distinct from your domestic one in key ways! "I know how to sell my widgets and optimize my production lines, but INCOTERMS 2010 and foreign exchange are like Greek to me." That's a typical comment from successful business owners when we begin to talk about the challenges and opportunities of internationalizing their enterprise activities. It's a common and understandable sentiment - and one confirmed by research. A recent McGladrey report found that companies early in the process of going global tend to focus disproportionately on "transactional" details such as international payments and logistics. The good news is that those concerns are easy to address. And the better news is that quickly moving past these details and shifting focus to more substantive elements of international business development contributes to faster growth and earlier profitability. There are various considerations that merit strategic treatment - and two critically important areas which are almost always ignored. International marketing and channel management are assumed to be merely slightly different flavors of those parallel disciplines that have been domestically mastered. Unlike the routine mechanical details that consume resources, these are more art than science; difficult to master; and key to ultimate international success or failure. And perversely, because they are ancillary to the main business, they aren't likely to receive executive attention and sponsorship. But that's shortsighted. We'll tackle the mystery of creating an effective international sales channel in a different article, and focus here on the magical element of international marketing. You've heard of the Chevy "Nova" brand debacle in Latin America (who's going to buy a car which is named 'doesn't run') and possibly the Clairol "Mist Stick" curling iron market flop in Germany (where 'mist' translates approximately as manure). Both are great examples of the mischief in which even marketing powerhouses can find themselves when selling internationally. Simple translation errors? Probably not. In fact, translation is only one small part of international marketing - probably the simplest. Easily and inexpensively outsourced, translation is a mechanical step. But "localization" is a different, culturally-based challenge, and only one element of seven in a comprehensive international marketing approach. Infrastructure is the dry set of administrative details that you'll seriously regret not attending to. Securing the top level domains (TLDs) - before enterprising squatters - for your company and brands (e.g., internationalman.ar, br, .cl, .co, .gt, .hn , .mx, .pa, .pe, .py, .sv, .uy & .ve to complement .com as you enter LatAm markets) allows you to create local language microsites later, which are optimized for prevalent search engines in focus markets as well as the local Google engine. Ensure that trademarks are registered (in your company name - not a local agent) to avoid the nightmare of having your genuine product seized in customs as counterfeit! Product must be localized in packaging (label language, no 'gimongous' club-store packs are sold in typical emerging markets, refrigeration/distribution infrastructure are often primitive), formulation (scents, voltage, colors), labeling (regulatory differences are substantial), and even suggested use/application. Marketing localization is where the black magic of international marketing is applied, and it is here where you will leverage or squander your opportunity to accommodate local cultural expectations, and still capitalize on the cachet which "Made in America" still carries in many markets. Colloquially appropriate translation (not direct, but rather adapted message) combined with appropriate imagery, color selection, fonts and even output size (e.g., US letter vs. A4) are all localization considerations. Referring back to your brand names, to avoid the 'nova' and 'mist' mistakes, they should be vetted not only for explicit concerns, but even for 'sounds like' conflicts in local languages. Communications requires that the message and marketing communications be appropriately tailored for the local market - almost as an element of localization. Buyers are increasingly savvy. They are inundated with marketing messages and practice 'selective consumption', rarely acknowledging marketing invitations. When they want info, though, they use the internet, not to visit an on-line brochure (most websites), but rather to search for a solution. Google is increasingly savvy. The ranking of sites offering solutions is based on relevance and authority. Those are determined by a number of factors, but increasingly, "content" is the key. Content is fresh (regular additions) high quality material (blog posts, eBooks, whitepapers, videos, etc.) which is valuable to consumers and speaks directly to "long-tail" keywords, e.g.,"international personal asset diversification" vs. "diversification. Traffic used to be cool - today, though, it has little intrinsic value as a metric. Certainly you must constantly increase traffic. SEO, social media, and blogging contribute to this. But traffic must convert to prospects before it has any functional value. Prospects aren't ready to be assaulted by a sales rep - but have some interest. That interest (and the relationship with your company) must be nurtured. This can and should be done automatically with ... you guessed it ... more content which moves them along a sales funnel. So, the goal of your website (at least the marketing front end) is to convert traffic to prospects, and capture some basic info to begin to build a relationship. And the goal of your inbound marketing program is to have a metrics-rich tool which lets you relentlessly tweak the process. Inbound marketing has a number of virtues - not least of which are its extremely low relative cost and its unique fit to the way the world now researches products and services. In its international form, inbound marketing involves localizing the approach (keywords, content, inbound links, and other refinements) so that buyers in potential markets, searching in their own language, on their own local search engines, will find you ... and find you accessible. Outbound marketing is the set of tools (email, SMS, infomercial, etc.) that you will use to broadcast your message as you begin to build a following in a target market. There are a lot of steps, and layers of nuance. It's not intuitive, and most challenging is the requirement to iterate in one market (or at least region) after another. The payoff, though, is a substantially higher return on the investment you will make in internationalizing your business. Think of it as "juicing" the returns while simultaneously reducing risk! Want to find out how Consilium could help you internationalize your marketing? Contact us.